Most of Northern Ireland's traditional dishes have their roots in potatoes and bread. This simple peasant fare has endured amid a profusion of fusion cuisine and contemporary twists. 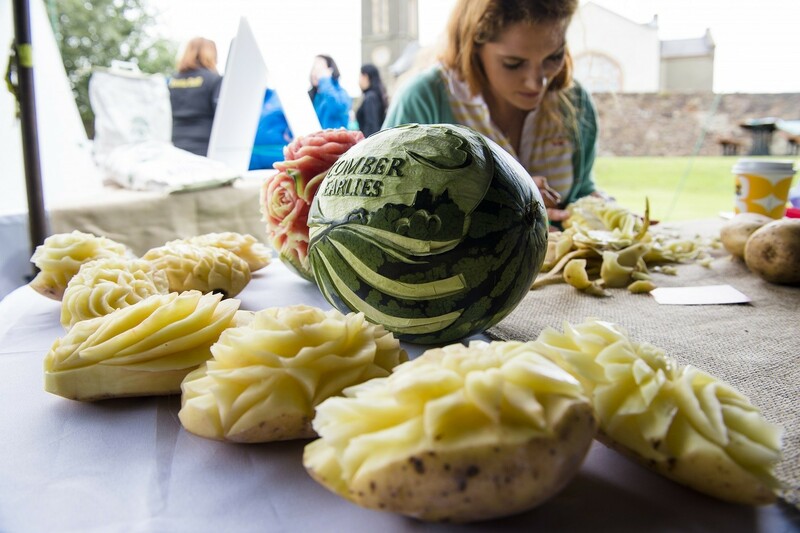 And the glorious Comber spud is revered in Sept's Comber Earlies Food Festival. 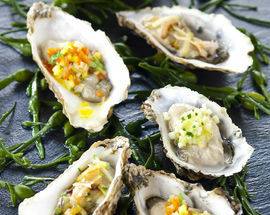 So check out these hearty classics and associated events and give your mouth a bit of a treat. Potato bread: It's the humble spud elevated to gastronomic heights. This thin square of loveliness is at the heart of every Ulster Fry and a must-buy foodie souvenir. Wheaten bread: A healthy brown bread made with wholewheat flour and delicious toasted with melted cheese or buttered and served with a big bowl of steaming broth or fine slivers of smoked salmon and a lemon wedge. Soda bread: First baked in 19th century Ireland when local peasants added baking soda to help the dough rise. The result is a thick, stodgy bread best served fried or toasted with a big dollop of butter. Ulster Fry: Often dubbed a 'heart attack on a plate', the humble Ulster Fry has entered the pantheons of classic local cuisine. Take the common fry - sausage, bacon, egg, mushrooms, tomato - and add a hefty heap of potato bread and soda bread. It's as simple as that. Pastie Supper: Not to be confused with the pastry-wrapped Cornish variety, this local version is a patty-shaped concoction of mashed pork, potato and herbs in a deep-fried crispy coating. The pastie has been immortalised by Van Morrison in his song A Sense of Wonder. Note: Anything with the word 'supper' attached means it comes with a portion of chips. Champ: A delicious comfort food dish of potatoes mashed with lots of butter, warm milk and chopped spring onions or, as we call them, scallions. Irish Stew: Traditionally made with lamb or mutton, this hearty peasant dish is best served in a traditional pub accompanied with a pint of Guinness. The dish gets an early mention in Lord Byron's tiresome tome The Devil's Drive. Dulse: Salty dried seaweed usually sold in small paper bags at markets, most famously the Oul Lammas Fair held each August in Ballycastle, Co. Antrim. Fish & Chips: Whiting, plaice or cod slathered in batter and deep-fried to a crispy finish. Serve with a shovelful of chips and douse the lot in gallons of salt and vinegar. Best served wrapped in paper and eaten with your fingers. 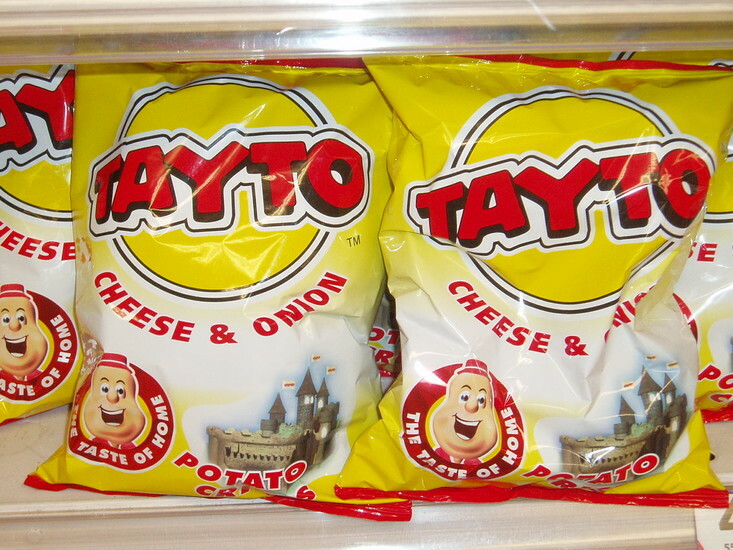 Tayto crisps: Ask any local to name their favourite crisps (or chips) and you'll probably hear 'Tayto Cheese and Onion, mate'. Made since the 1950s at Tayto Castle, Tandragee, these distinctive yellow packets with Mr Tayto logo have become an unlikely Northern Ireland icon. 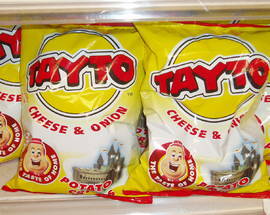 Tours of Tayto Castle are available; see www.tayto.com. Armagh Apples: Eve's scrumptious Bramley orb is grown in the aptly-named Orchard County and available as a cider, soft drink or - heaven forfend - humble fruit. 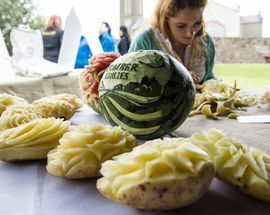 May's Armagh Apple Blossom Festival cultivates the crop with lots of tasty and revealing events and eats. 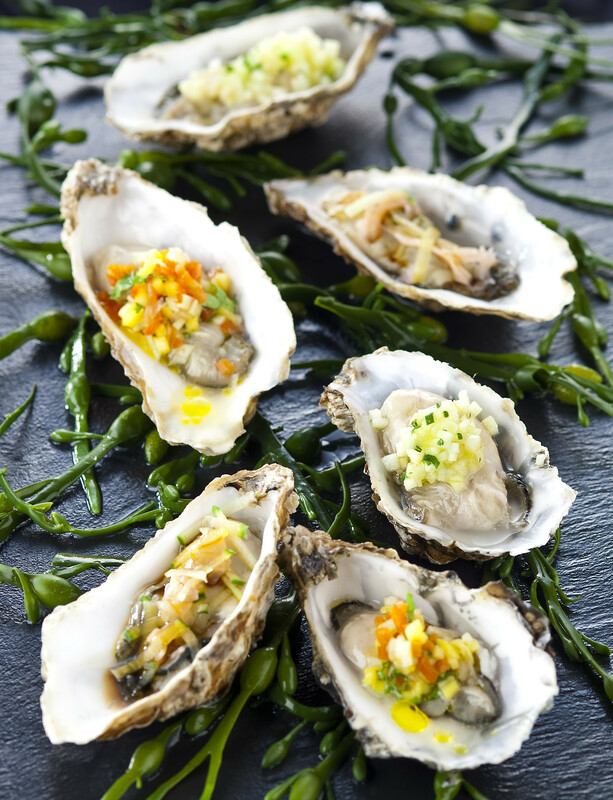 Seafood: As an island nation, we're not too hot when it comes to raiding Neptune's larder. However, some restaurants do a great line in fish dishes - most notably Fish City in Belfast and the Mourne Seafood Bar in Belfast and Dundrum. 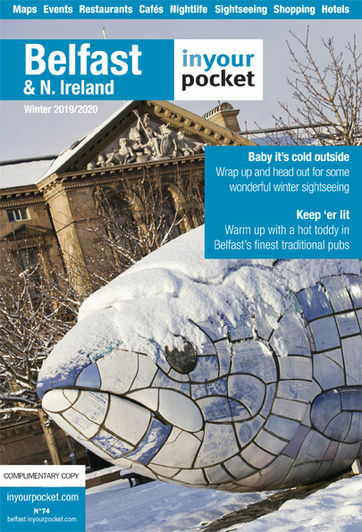 Northern Ireland Seafood has a list of its recommended places to chow down.